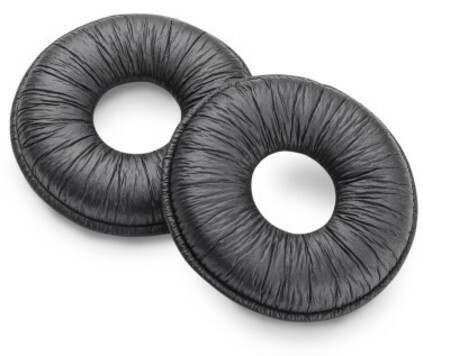 60425-01 - Plantronics leatherette black ear cushions for the Encore series headsets. These provide soft, all day comfort when wearing a Plantronics Encore headset. These come 2 per pack. They are suited to the H91N and H101N Encore headsets. It is recommended that ear cushions be replaced at least every 6 months.